Tameside Floorcoverings began life in 1974 in hard times. 3 day a week had just started, inflation was at 25% and the mortgage rate was 16%. 60-70% of our customers had never had a fitted carpet before. We want you to be pleased with your investment and will do our utmost to see that happens. All of our products are sourced from reputable manufacturers throughout the world and are the very best examples of their kind. Your satisfaction ultimately depends on honest, accurate advice, ensuring that you get the very best value for money. We take pride in providing this, ensuring that you can buy with complete confidence. We have 80 years of combined experience between us and have fitted as north as Glasgow and as far south as Paris. 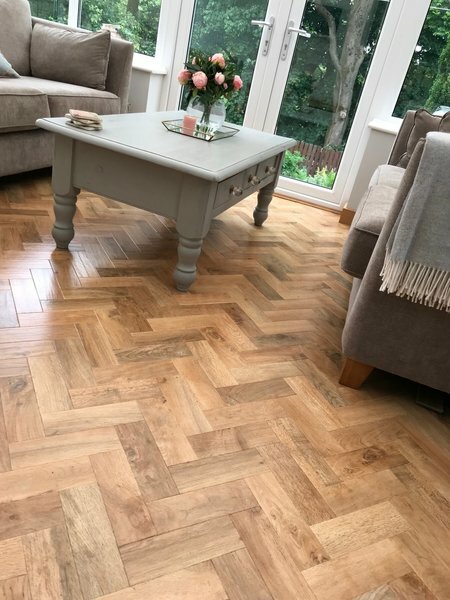 Tameside Floorcoverings have won Best Shop Award out of 4200 shops in the UK and have featured on TV on numerous occasions giving advice on shows such as Home Style. Proud members of the Tameside Buy with Confidence Scheme and the Carpet Foundation. From entering the shop until job completed everybody is very friendly and professional. The job this time was a kitchen/extension floor with a very tricky design. Phil explained any problems which may occur and discussed solutions. On the day of fitting the two fitters arrived on time and completed the job within 3 hours to a very high standard. Price was well within our budget and really worth the money. Finally thanks to Sydnee in shop who beside making a very nice cup of coffee, lets you browse without mithering you. Will definitely use again in the near future. Two bedroom carpets fitted with top quality carpet. 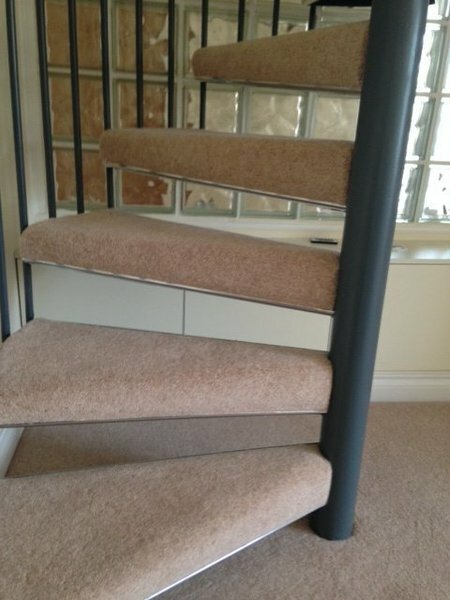 Tameside carpets is a professional outfit using quality materials fitted to the highest standard. Lounge/Diner recarpeted. I was given excellent advice on the various types of carpet best suited to my situation by the staff at Tameside Floor Coverings. The work was completed on the day of the pre booked installation, again the staff were polite, friendly and mindful of my new decorating. I am very pleased with the result and would not hesitate to recommend this Company. I had a mat well fitted to my front door. From start to finish, I was extremely pleased with the communication and professionalism. I'd certainly recommend them. Everything was professional from start to finish, great advice, prompt measure and date for fitting. 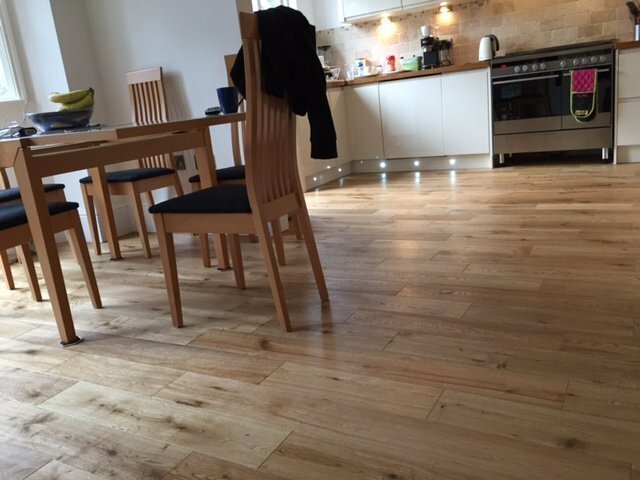 Flooring is fabulous we are very happy with it. 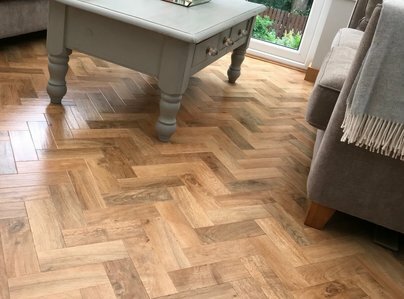 The fitter did a fantastic prep and proffesional fitting he was so helpful and made sure we were completely happy with the job as did Tameside Flooring. Absolutely recomend them. We used Thameside 6 years ago and was happy then but you are never sure, we were not disappointed. Where do I start? From start to finish I cannot fault the service. 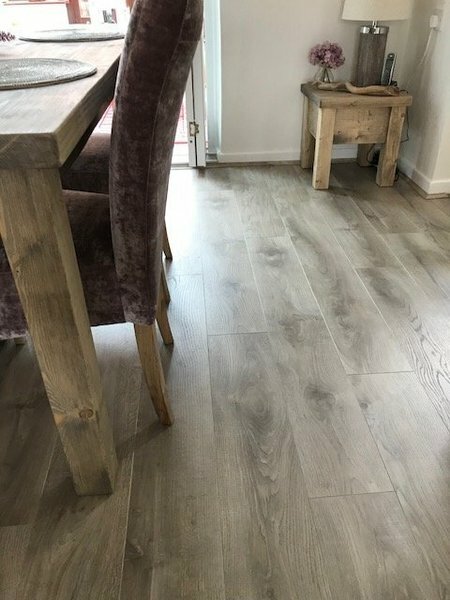 Our floor covering has been fitted and I am ecstatic - it was a very difficult job as it was three rooms (dining room, kitchen and utility room) all in one piece with lots of cut-outs around doors, walls, kitchen cupboards and breakfast bar and it looks fantastic. Credit to the fitters who have done an amazing job. Anyone wanting new floor coverings should definitely pay Tameside Floor Coverings a visit. Thank you from Linda and David, Droylsden. Tameside Floorcoverings have carpeted my last 2 homes and I have recommended them to my Family and Friends. Excellent customer service and professional fitting as well as competitive prices.